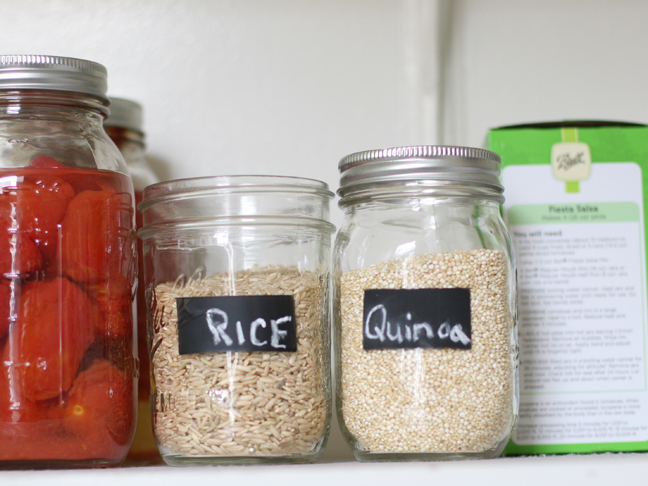 Storing your grains in mason jars is a great way to keep track of how much you have, and makes for a pretty display too. 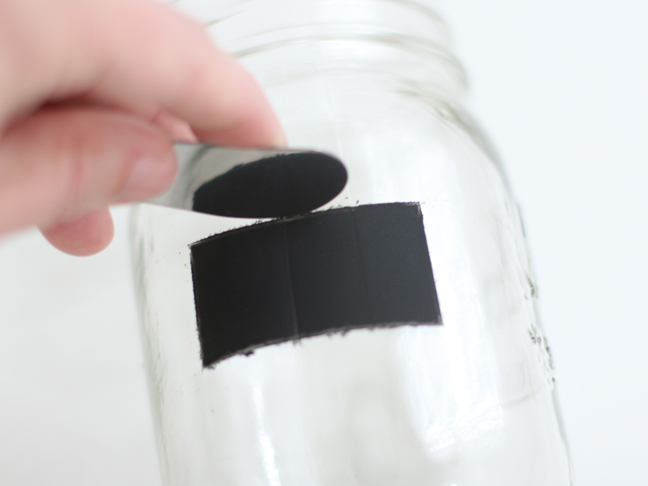 Keep reading to see how to make these easy chalkboard labels for your jars. 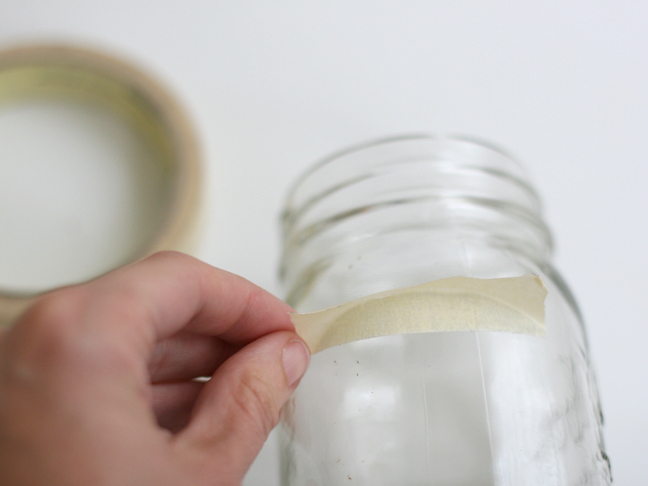 Place a piece of tape on a smooth spot, making an even line. 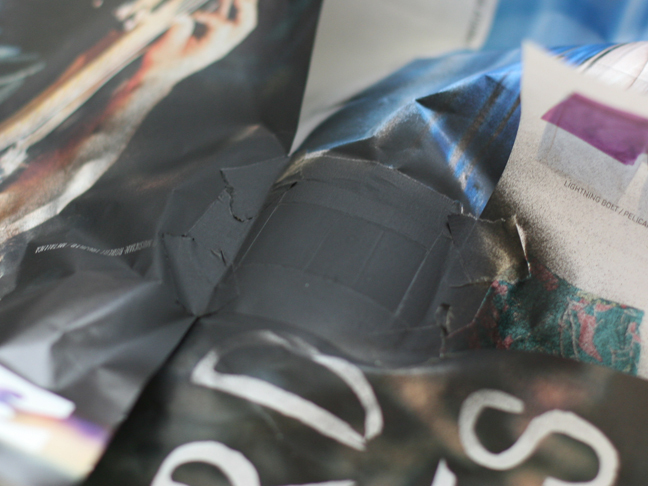 Leave the top part of the tape up as shown. Continue with the other sides until the inside is a rectangle. Add pieces on the edges as well. 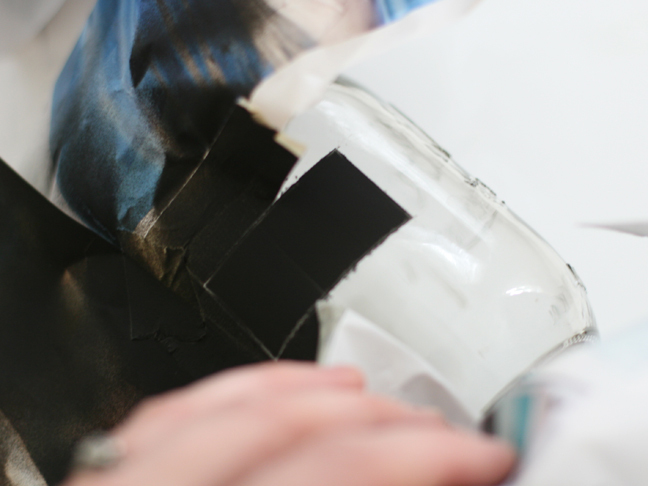 Anything exposed will be painted black. 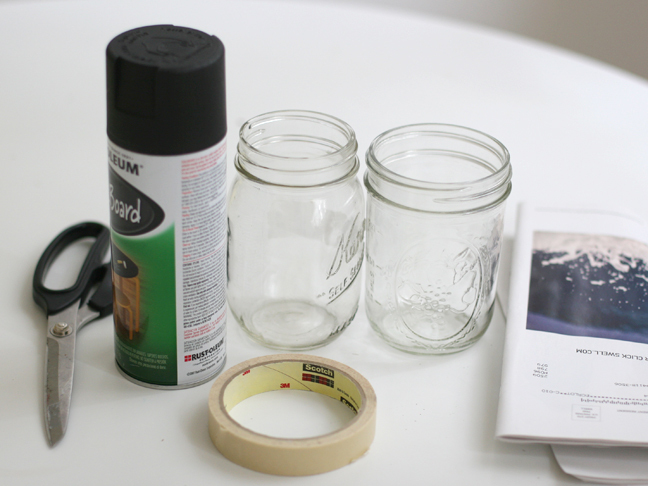 Spray paint with chalkboard paint in a well ventilated area, preferably outside. Let dry completely. 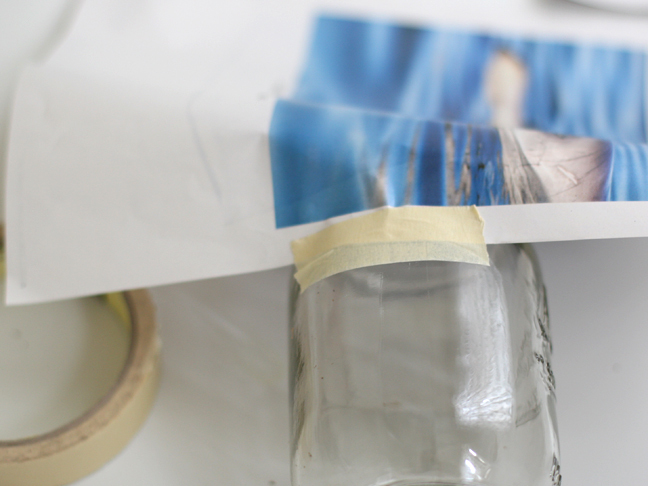 Peel off the tape and scrap paper. 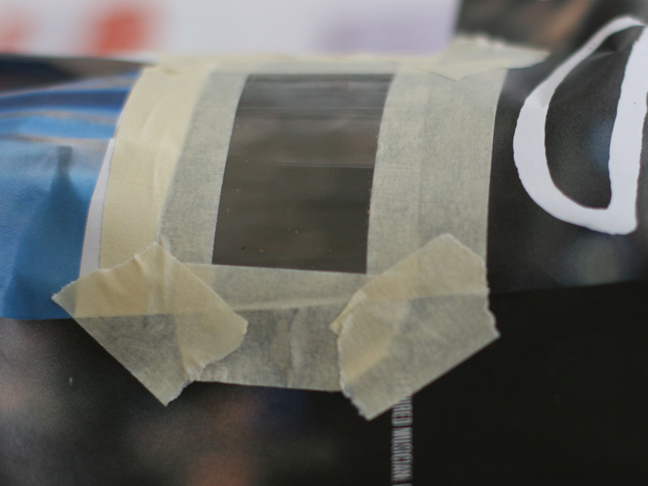 The good thing about spraying on glass is that you can scrape off the edges to make them more clean. Use a butter knife or somethign similar. Write labels on them with chalk!